Glory to God, our Building Capital Campaign up through Phase II was completed in 2016! Our original materials for our 2010-2016 Campaign can be found below. While we are taking a couple year break from a capital campaign (after years of productive fundraising,) our goal in the next several years will be to launch a new campaign to pay off our Phase II mortgage. As of 2018, we owe about $800,000 on our note. If you would like to give towards this mortgage amount (either with a direct gift or a bequest,) please reach out to Fr. Justin. Additionally, some money has come in for Phase III project (one version is above,) including about $50,000 for future frescoing in our final church temple! We have our eye on the ball for this final phase in our church construction project! St. Athanasius Orthodox Church in Nicholasville, Kentucky serve s Central Kentucky by witnessing to the fullness of the Christian faith through Orthodox Worship, strengthening our community through Fellowship, reaching out to others through Evangelism and Hospitality — especially helping those in need, and continuing in life-long formation and total parish education. His Eminence Dmitri, Archbishop of Dallas and the South. 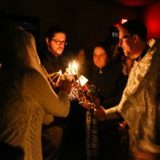 In February 2002, after a journey through the Evangelical Orthodox Church, the 25 founding men, women, and children of St. Athanasius were received into the canonical Orthodox Church under the care of the ever-memorable Archbishop Dmitri of the Diocese of the South of the Orthodox Church in America. Since that auspicious beginning 10 years ago, our parish has seen dramatic growth, first under the pastoral leadership of Fr. David Rucker, currently serving as Associate Director of the Orthodox Christian Mission Center in Florida, and now under the leadership of our present rector, Fr. Justin Patterson. 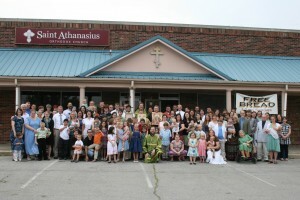 Recognizing that St. Athanasius had achieved certain important goals with regard to liturgical life, ministry, attendance, tithing, and owning property, the Holy Synod of our Church granted St. Athanasius “parish status” in 2009. At present, our regular Sunday Liturgy rarely dips below 100 worshipers. We joyously anticipate the good things to come as we seek to build a proper church building (temple) in which to glorify God more publicly here in the Bluegrass State. Worship remains at the heart of all that St. Athanasius does. On average, we hold some kind of liturgical worship five days per week in our parish. We also strive to maintain a real sense of community by hosting weekly parish meals after Liturgy, as well as monthly social events among our men and women. 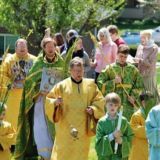 Among the ministries that St. Athanasius Church has continued to develop is a vibrant program of total parish education, including Sunday School for children and adults, classes for inquirers, ongoing catechetical instruction, and youth group. St. Athanasius is also fully engaged in service to those in need in the Bluegrass State. 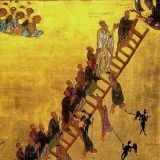 The faithful of St. Athanasius take seriously the call to bear witness to Christ and the preaching of Him in an Orthodox manner. We are here for only two reasons—to grow in Christ ourselves and, in serving others, to share this precious gift of our Faith with all those whom the Lord brings to us. 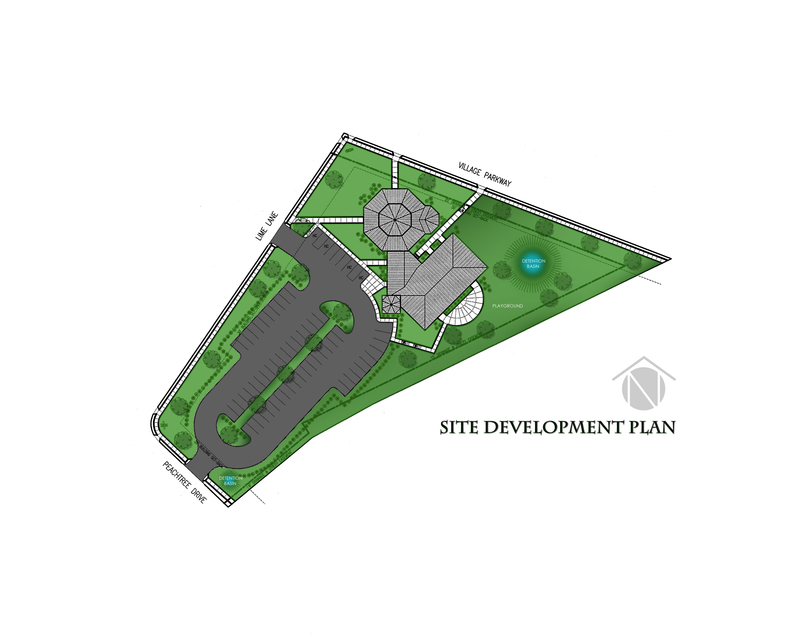 Part of this long-term vision of sharing the Gospel here in the Bluegrass State includes the establishment of a permanent Orthodox temple and parish campus that will express, by virtue of a physical presence, the grace of our Lord to the people of our community. Appropriate space for life-long formation and total parish education. To do this we must first purchase land and build an interim church/hall building to move out of our current rented store front chapel. When the new interim church/hall building is completed, we will begin to work toward the final phase of the project: the construction of a proper free-standing Orthodox temple. The project is courageous and we are confident that, coming together as a community, we will accomplish it. Above all we understand that a Church cannot be built without sacrifice and without reassessing our priorities. Only upon this communal, sacrificial act will we be able to build a Church that will endure, uniting us all into Christ our God. The Church, freed from persecution, filled the lands with temples, churches, and chapels. Lands formerly held in the meaninglessness… were filled with sacred spaces, dedicated to and proclaiming the presence of God. 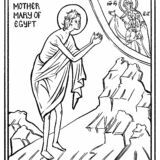 She could do this because God himself, in his Son, became flesh and dwelt among us. 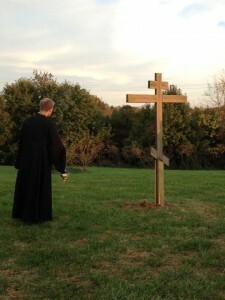 The construction of an Orthodox Church in Nicholasville, Kentucky is both an historic and unique opportunity to reach out in a healthy spirit of evangelism to all seeking to encounter the apostolic Orthodox faith in the greater Lexington area—Orthodox, non-Orthodox, non-Christian, and the mass of non-affiliated believers in God. We envision incorporating Kentucky architectural elements into our church campus, while maintaining a clear, traditional Orthodox aesthetic. Your contributions and support will help build the first and only OCA Orthodox Church in Kentucky. To meet this great challenge that is ahead of us, we have begun our Capital Fundraising Campaign. To date we have received pledges for $260,000 from within our parish. The Campaign goal for the first and second phase to be completed by December of 2015 is $800,000, including land acquisition, basic development, engineering, and construction costs of an interim Church/Hall for Worship, Hospitality & Ministry. We invite you to prayerfully consider joining our parish in this goal. Your prayers and offerings will be greatly appreciated. Help make our vision a reality through your gift. Please print, complete, and mail this response form to Saint Athanasius Orthodox Church. All gifts are deeply appreciated. Thank you. Yes! 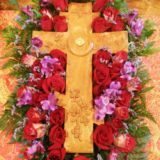 I/we wish to support the growth of Orthodox Christianity in the Bluegrass through a gift to the Saint Athanasius Orthodox Church Capital Campaign. Make checks payable to Saint Athanasius Orthodox Church and designate “Capital Campaign” in the Memo line. Mail it to 100 Lime Lane, Nicholasville, KY 40356. Contributions are tax-deductible. Any funds received in excess of our campaign goal will be used for the building fund. Up to 10% of the funds received may be used for administrative costs.